Braces are a word commonly used to describe a fixed orthodontic appliance, usually comprised of brackets, bands and wires. A custom designed wire is then inserted into the brackets along which the teeth are moved. Treatment times vary dependent on physiological development and treatment needs. Clear, esthetic braces are often available but depend on your specific treatment. Our goal is to provide you with the most appropriate treatment at the most appropriate time. With over 40 year of clinical experience, we have extensive expertise in a variety of treatment modalities as well as the timing of treatment (dental age) in order to accomplish your orthodontic goals. Invisalign orthodontic therapy starts with a customized, 3-D virtual (digital) treatment plan which follows with fabrication of customized, clear aligner trays which are worn for a recommended 22 hours/day, removing them for eating, brushing and flossing. Each customized aligner is worn for 1-2 weeks dependent on your personalized treatment plan. Each aligner advances you to the next stage in your orthodontic treatment. To monitor your progress, you will be seen on a regular 4-6 week basis. At every stage of treatment you will notice the dramatic results you are achieving towards that gorgeous, healthy smile you have always wanted. 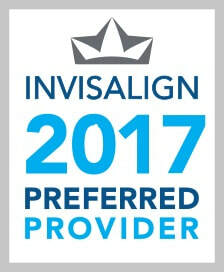 Please let us know at your consultation if you are interested in Invisalign! Brushing and flossing can be challenging with braces. Healthy clean teeth are vital. Make sure you are visiting your general dentist for regular check ups every 6mos at minimum. So you're done with braces. On to retainers. Retainers preserve and stabilize your results from orthodontic treatment. They are the best way to control or limit changes in tooth position. Retainers can be removable or permanent. Removable ones can be traditional, with wires, or clear, similar to aligners. Permanent ones generally consist of wires bonded in behind either the bottom or top teeth. Wear your retainers as prescribed to maintain your healthy new smile. Here's a quick overview of what you can expect in terms of eating with braces.